(TFTP) — In an ominous report out of the AP we are now learning that the FBI has been operating a small airforce inside the United States. The operation sends low-flying planes across the country. Inside these planes are methods to collect video and cellphone surveillance technology. The entire operation is carried out behind the facade of fake corporations set up by the FBI and used to spoof their mission. According to the report, the surveillance technology is used without a warrant. In just the last 30 days, it was discovered that the agency has deployed this airforce over 30 cities in 11 different states. Using public documents, the AP was able to trace the FBI back to at least 13 fake corporations such as FVX Research, KQM Aviation, NBR Aviation, and PXW Services. The AP traced at least 50 aircraft back to the FBI, and identified more than 100 flights since late April over both major cities and rural areas. The surveillance flights comply with agency rules, an FBI spokesman says. Those rules, which are heavily redacted in publicly available documents, limit the types of equipment the agency can use, as well as the justifications and duration of the surveillance. Some of the aircraft can be equipped with technology that can identify thousands of people below through the cellphones they carry, even if they’re not making a call or in public. 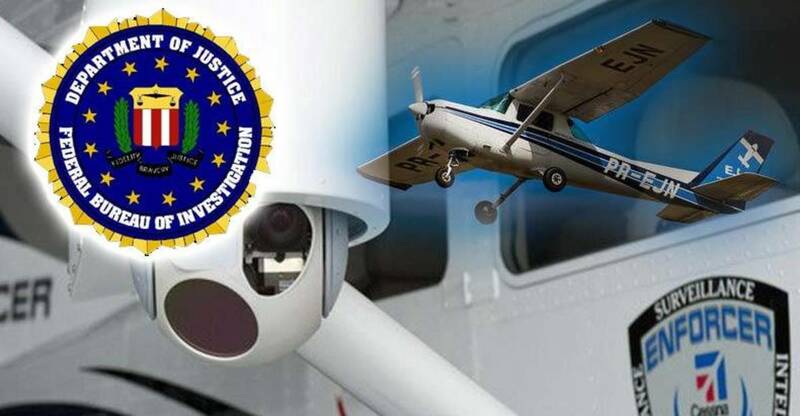 Officials say cellphone surveillance is rare, although the AP found in recent weeks FBI flights orbiting large, enclosed buildings for extended periods where aerial photography would be less effective than electronic signals collection. Those included above Ronald Reagan Washington National Airport and the Mall of America in Bloomington, Minn. Included on most aircraft registrations is a mysterious name, Robert Lindley. He is listed as chief executive and has at least three distinct signatures among the companies. The FBI would not say whether Lindley is a US government employee. Law enforcement officials said Justice Department lawyers approved the decision to create fictitious companies to protect the flights’ operational security. The FBI asked the AP not to disclose the names of the fake companies, saying that would saddle taxpayers with the expense of creating new ones. The AP declined, noting the companies’ names are listed on public documents and in government databases. This news comes on the heels of the NSA’s unscrupulous spy provisions expiring last month as the PATRIOT Act failed to be renewed. Sadly this news of the PATRIOT Act has duped many Americans into believing the spy state is on the retreat. However, if the government has proven anything over the last decade and a half, it’s that they are not afraid of lying. Assange, Manning, and Snowden have all exposed illegal functions of the US government that we were told never existed. Whoever, owing allegiance to the United States, levies war against them or adheres to their enemies. In other words, treason is when you help the enemy of the United States. Snowden leaked these documents to the people of the US, which means that the US must consider the people to be the enemy. The bottom line is that short of a radical change in the US government, domestic spying will continue; regardless of the public dog and pony shows implying otherwise. This new report by the AP simply confirms this. Instead of calling your congressperson, how about calling the FBI’s Major Case Contact Center at 1-800-CALL-FBI (225-5324)? Let them know that there is an unlawful domestic spying operation going on in the US and only they have the power to stop it immediately.